I knew I had it bad when I wanted tupperware for my birthday last year. But I realized I was really pathetic when I actually went and bought it for myself because I just couldn’t wait! And I must say - it was one of the best gifts ever. I love my tupperware. And who says that? 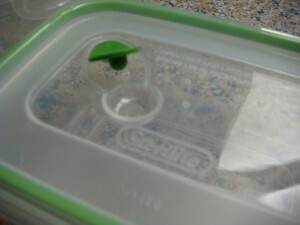 It comes in three different colors and the cool thing is each container has different depths but can share the same top. So when you are taking them out of the dishwasher or fumbling through your tupperware drawer - if you grab a green top then it will go with ANY green bottom. How nice is that?! 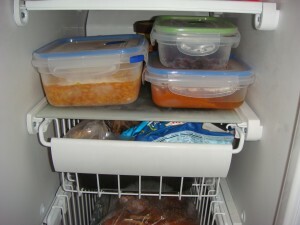 And when you want to thaw it out then you just lift the latch on the top and you can microwave it like that too. They also have 4 locking sides that make a clicking sound when shut correctly. Music to my ears. And the burning question? 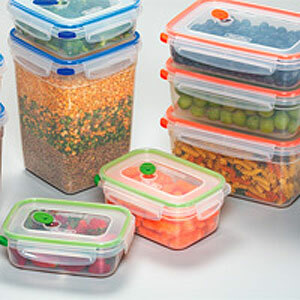 Where did we get the name ‘Tupperware?’ A shout out to Mr. Earl Tupper - the founder of Tupperware Plastic Company in 1938…You may now go about your day! I’m joining in on another great week at WFM @ We are THAT Family! OK, OK I get the point! 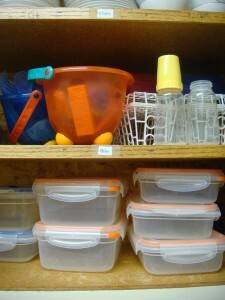 I know that you wrote this post as a huge hint to me and my overflowing tupperware cabinet. This is truly inspiring. Well now that you mentioned it…Kidding! You know I love you, but I would still love to spend some time in your cabinet! I had no idea Sterilite made that kind of stuff. I have tons of their plastic shoeboxes I used to organize stuff. I love Tupperware. I get ridiculously excited about it and other storage containers. These look nice. Anything color coded makes me smile! I have these and LOVE them! 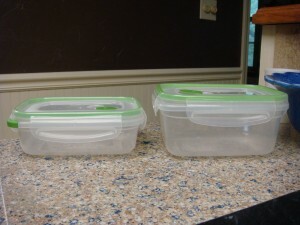 I just got them for my hubby for Christmas cause he was always complaining about our tupperware. I threw everything out and we only have these now and they work great! Ooh, love the color-coding!! I could get dangerous with this stuff. love tupperware. i think the world would go into chaos without it, seriously.